Girls are often encouraged to elaborate more when they recall information, which is thought to be linked to better memory. It’s based on the idea of ‘retrieval cues’ – we have more sticky points and details to help remember. So give lots of details to boost your memory. One study found that women who did just 5 minutes of low-impact cardio exercise (like step exercise) immediately after learning had better memory than women who took part in a non-exercise activity. Memory loss is part of the aging process with approximately 75% of older adults reporting memory-related problems. Women are found to be disproportionately at risk for memory impairment and dementia compared with men. In a recent study of men and women aged between 45 to 55 years, women outperform age-matched men on all memory measures, although memory declined for the older females. July is National Women’s History Month, and I wanted to share ways in which a woman’s brain is different. Let’s look at memory – my area of research interest and expertise. 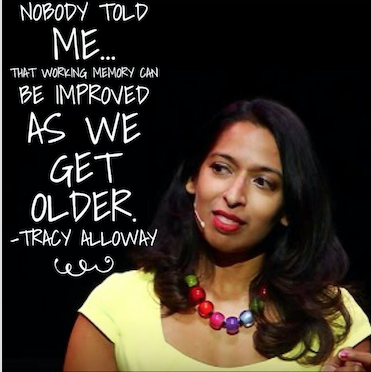 Tracy Alloway discuss the difference between women and men's memory. May is Mental Health Awareness month. In my research of over 3000 people across the lifespan, I found that an optimistic outlook can keep depressive symptoms at bay, whether you are 16 years old or 60 years old. So what is optimism? In my study, optimism was captured by the idea that you have a positive and hopeful view of your future. Watch below for 3 ways to boost your optimism. FCL Thursday April 12th What is your Thinking Approach? What is your Thinking Approach?